Chief Music Critic of The Observer, Fiona’s Hildegard of Bingen was a great critical success when published by Headline and Doubleday (US) and has now been re-issued by Faber. 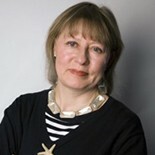 She was part of the team that set up Channel 4, was first music editor at The Independent and founding editor of BBC Music Magazine. She was educated at the Royal College of Music and at Cambridge. She wrote Conversations with Harrison Birtwistle for Faber, to coincide with his 80th birthday in 2014. 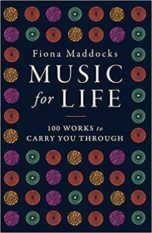 Faber published her delightful anthology Music For Life. Penguin have commissioned Ladybird book on 20th Century music.